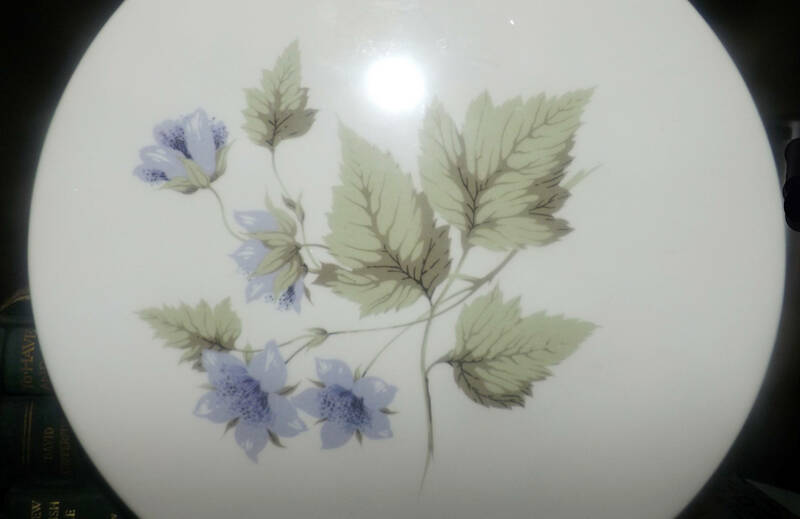 Vintage (1960s) Edwin Knowles USA Milano pattern dinner plate. 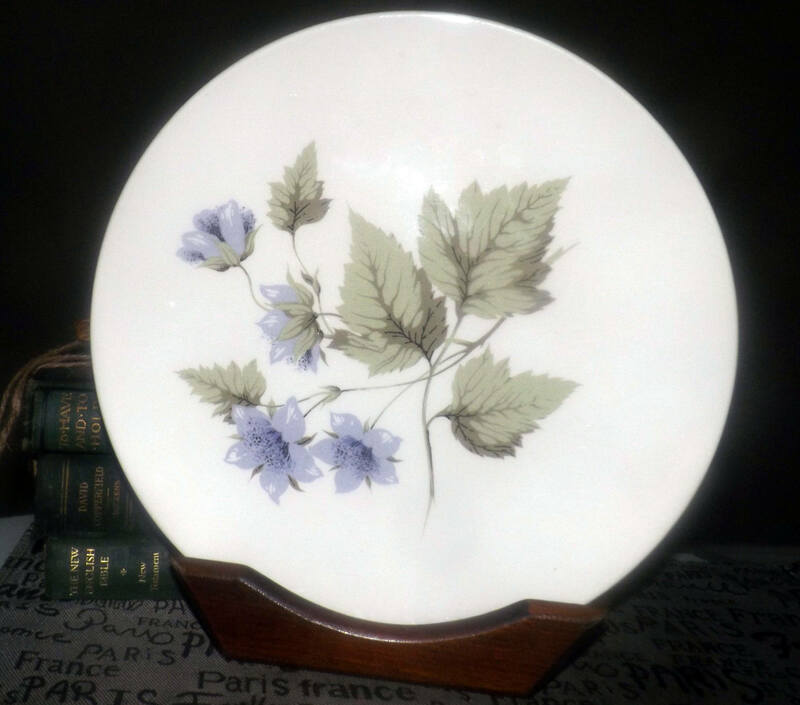 Green leaves and purple flowers on cream, coupe shape. 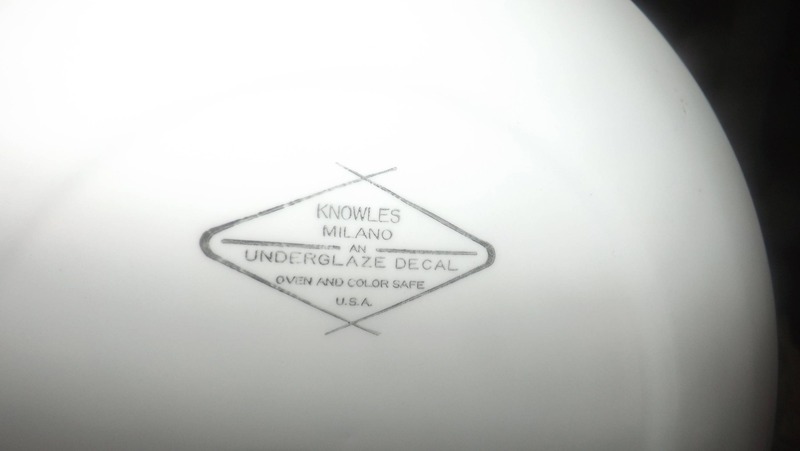 Vintage (1960s) and hard to find Edwin Knowles USA Milano pattern dinner plate. Green leaves and purple flowers on a light, cream-colored ground with a distinctively coupe shape. In EXCELLENT! condition with NO! chips, nicks, cracks or fleabites, NO! crazing and NO! marks or stains. To our eye, there are NO! 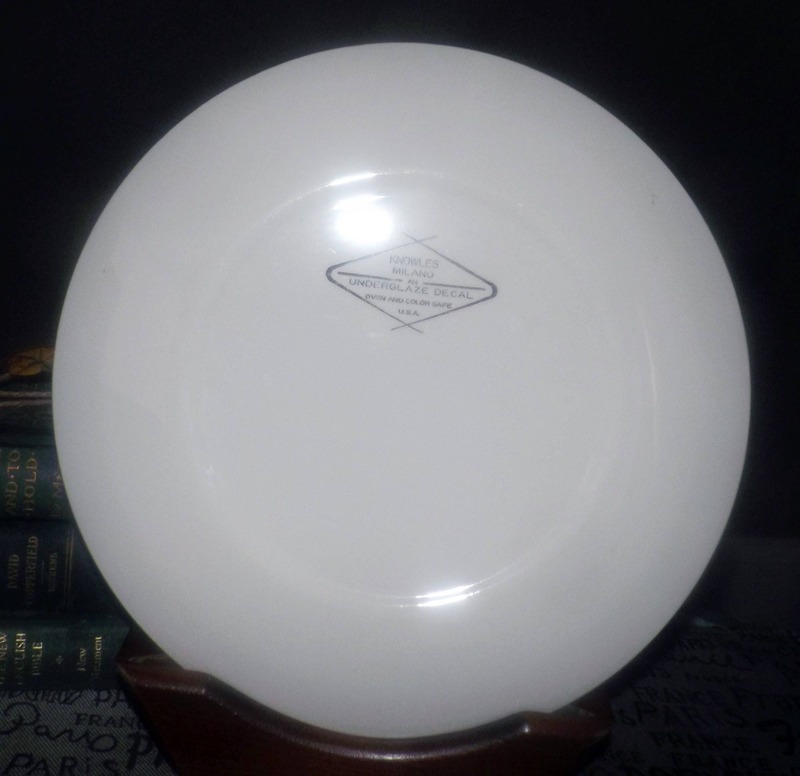 utensil marks or scratches to the surface of the plate (please review each of the posted photos for a complete visual of the item). The green and purple leaves are bold and vivid with NO! fading apparent. Approximate measurements: 11-1/2" in diameter (measured edge to edge) with a coupe shape.